No Indian festival is complete without it’s share of elaborate rituals.The Sanskrit chants, offering of flowers, incense sticks…all contribute to the divinity in the air. Hindu rituals have always intrigued me. 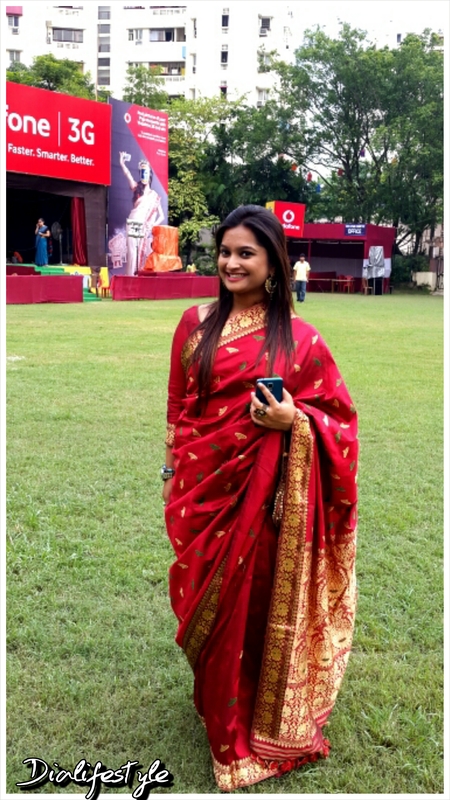 Hence, my Durga Puja is rather spent understanding and following the rituals. 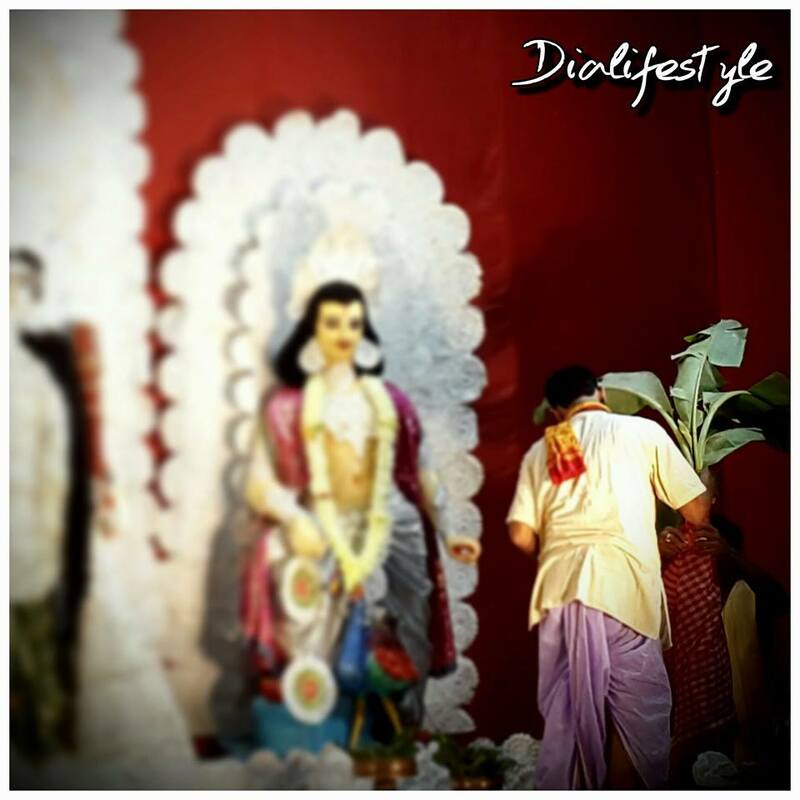 This post is an attempt to narrate the stories behind each ritual during Durga Pujo. This is a post loaded with pictures. It’s rather long, so thank you for bearing with it. Thousands of years ago there lived a buffalo-demon, Mahisasura (Mahis=Buffalo Asura=Demon). He was given a boon that no man could ever slay him. Hence, Mahisasura took himself to be inevitable. He spread his evil and torture everywhere and took over Indrapuri, the kingdom of Gods (Devta). The king, Indra, finally went to the creators of Universe, Brahma, Vishnu and Maheshwar to seek help. 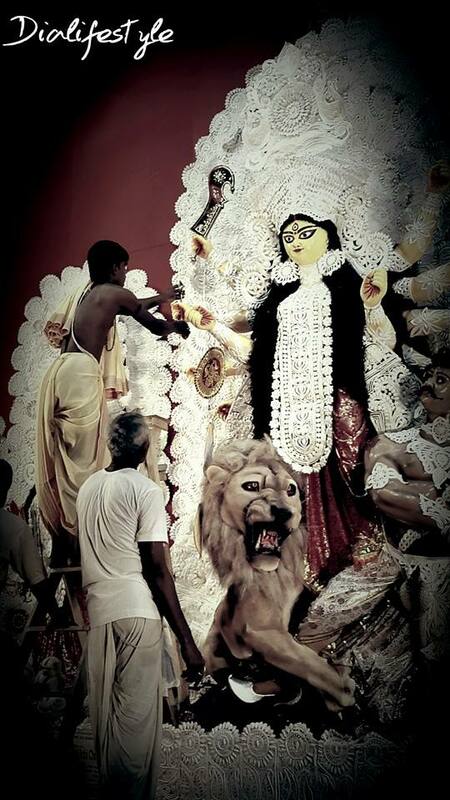 It was then that Maa Durga was created, the woman who would bring an end to Mahisasura. The first day of the Puja, Shashti is the day when we awaken the Goddess through a rituals collectively known as Bodhan. 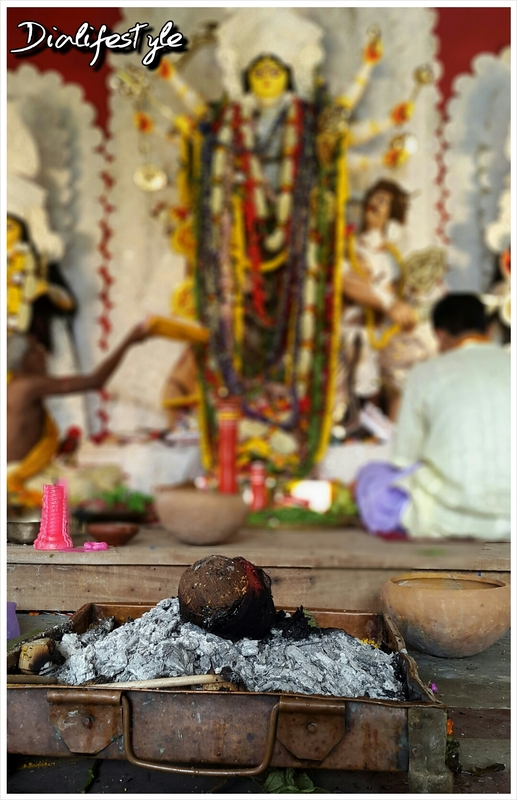 A wood-apple tree is worshipped first, signifying calling the divine Maa who resides under the tree. Next, the Navapatrika is prepared. Nava meaning nine and Patrika meaning leaves is prepared by tying nine different leaves together. The nine leaves signify nine forms of Durga. The leaves include Banana Plantation, Basil, Kacu, Turmeric, Bilva ( Wood Apple ), Pomegranate, Asoke, Arum and Rice. When Maa Durga was born, she was given weapons by the God’s. This ritual, “Astra Daan” is performed during Bodhan where weapons are handed over to each hand of the idol. 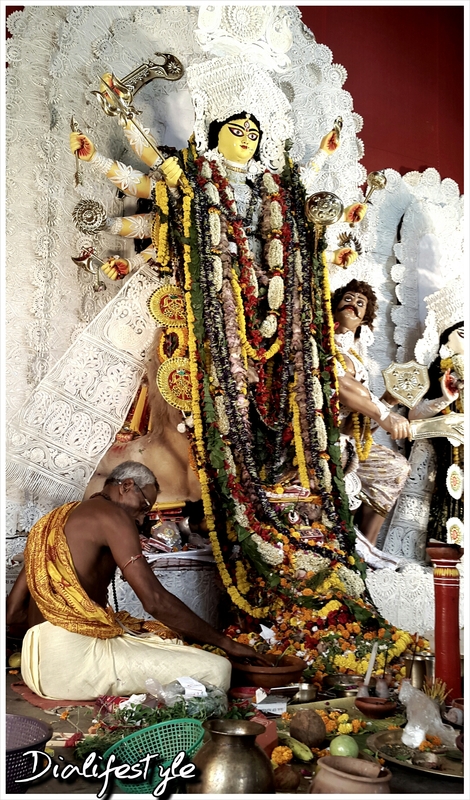 The next day, Saptami starts with taking the Navapatrika to the Holy Ganges. 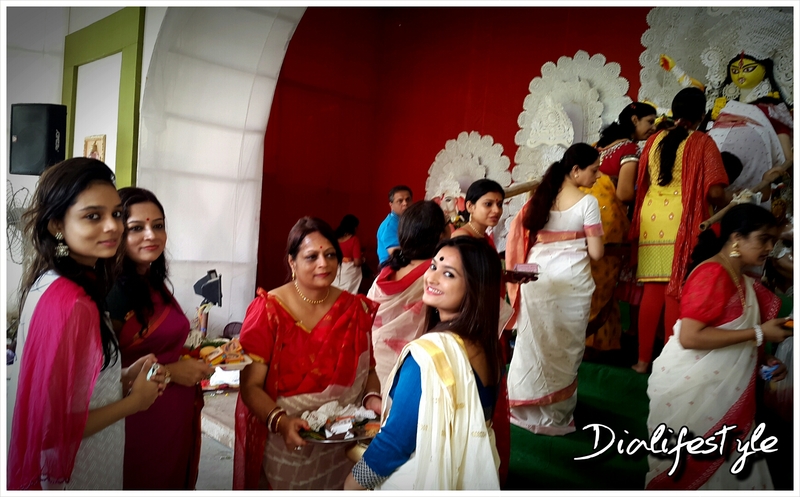 A puja is performed which signifies transferring life of Maa Durga from the water to the Navapatrika. 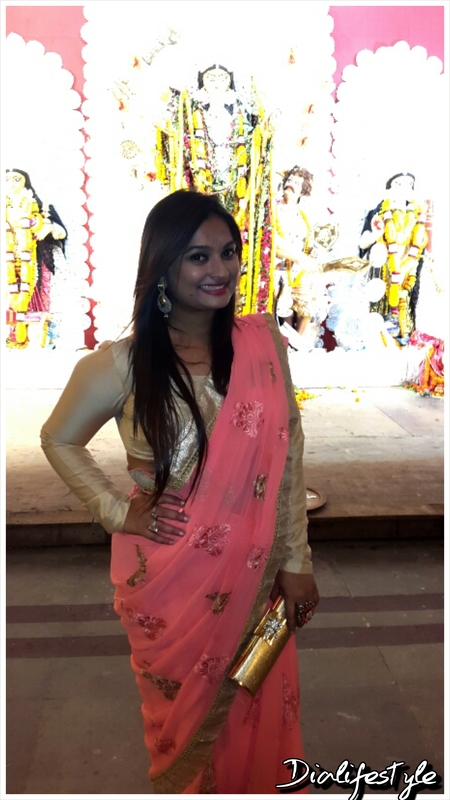 It is then carried to the temple and place beside Ganesh. 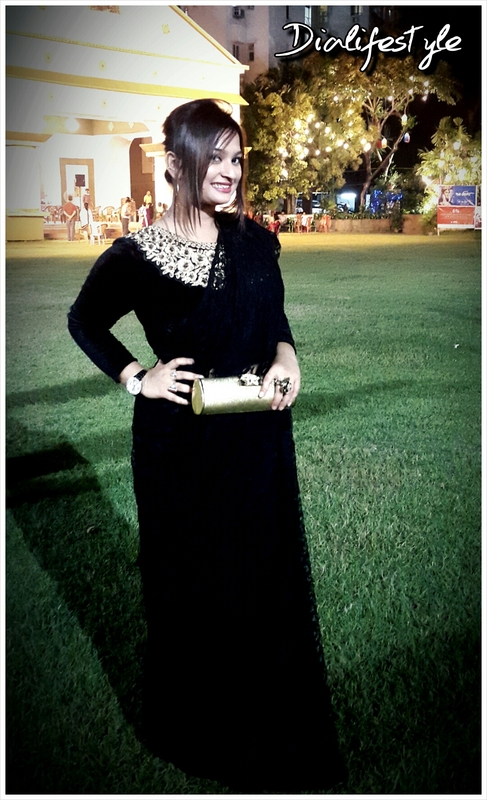 Another Saptami ritual is called the “Chokkhu Daan”. 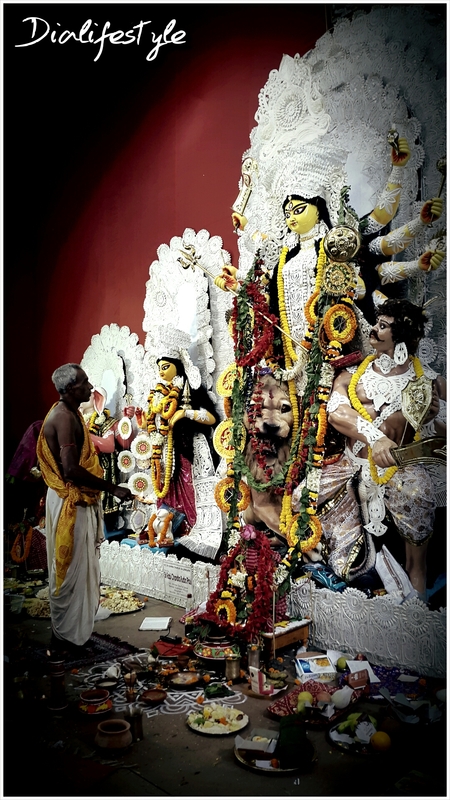 Mantras are chanted while Maa Durga is given her divine vision. The 3rd day, Ashtami is considered the most important. 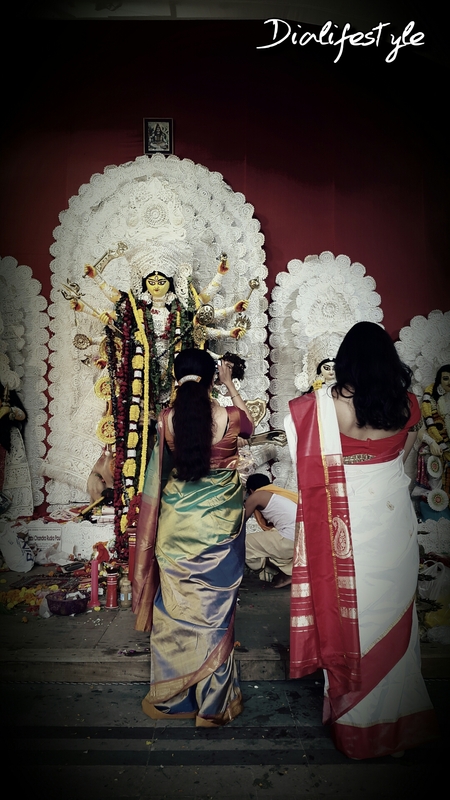 Women clad in white and red Saris offer flowers to the Goddess on this day. As for me, my entire Ashtami is spent fasting and blooming 108 lotuses for the Sandhi Puja later. 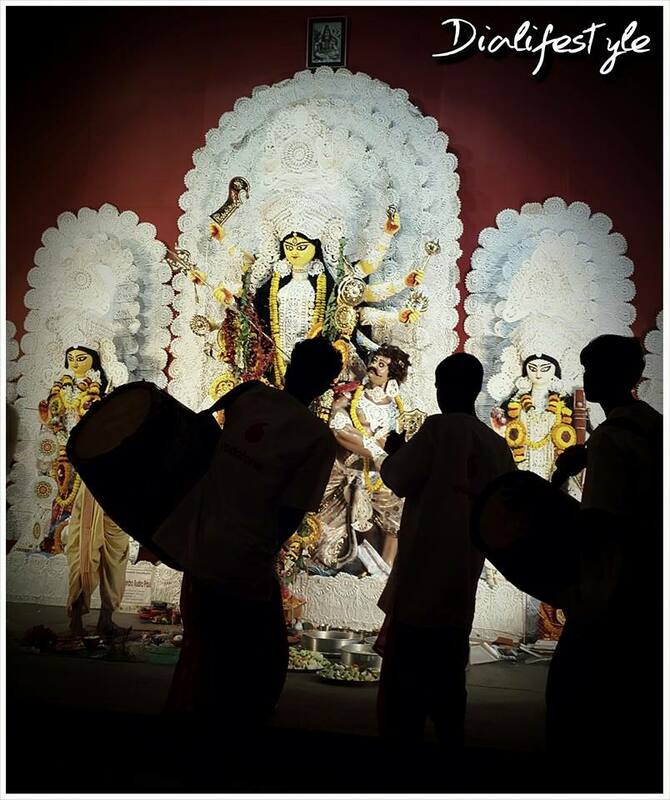 The Sandhi Puja is of major significance in Durga Puja rituals. This is performed at the junction hour of Ashtami and Nabami. 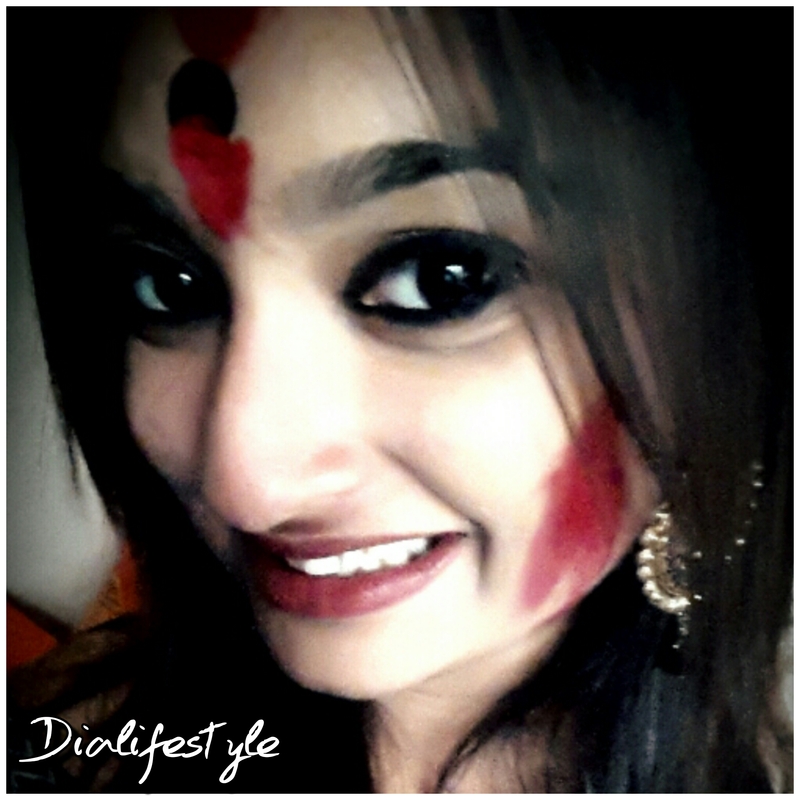 It is at this hour that Maa Durga won over the evil Mahisasura. One of the significant rituals of Nabami is the “yagya”. Offerings are made to Maa through the Holy fire. 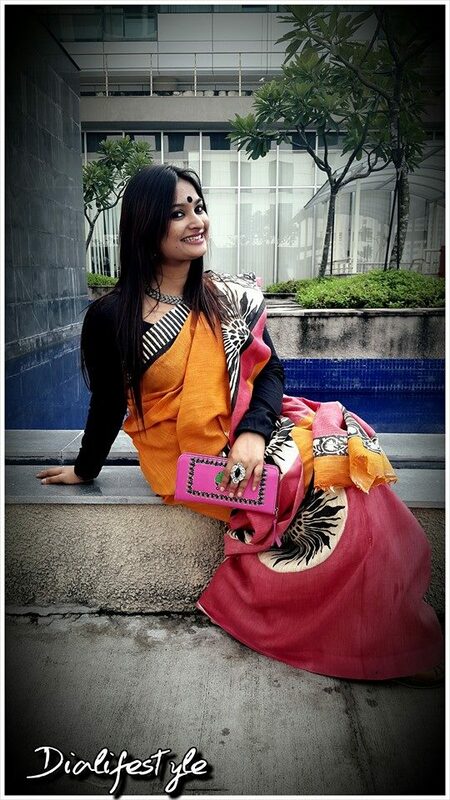 Finally comes Dashami, the day when we bid farewell to Maa. 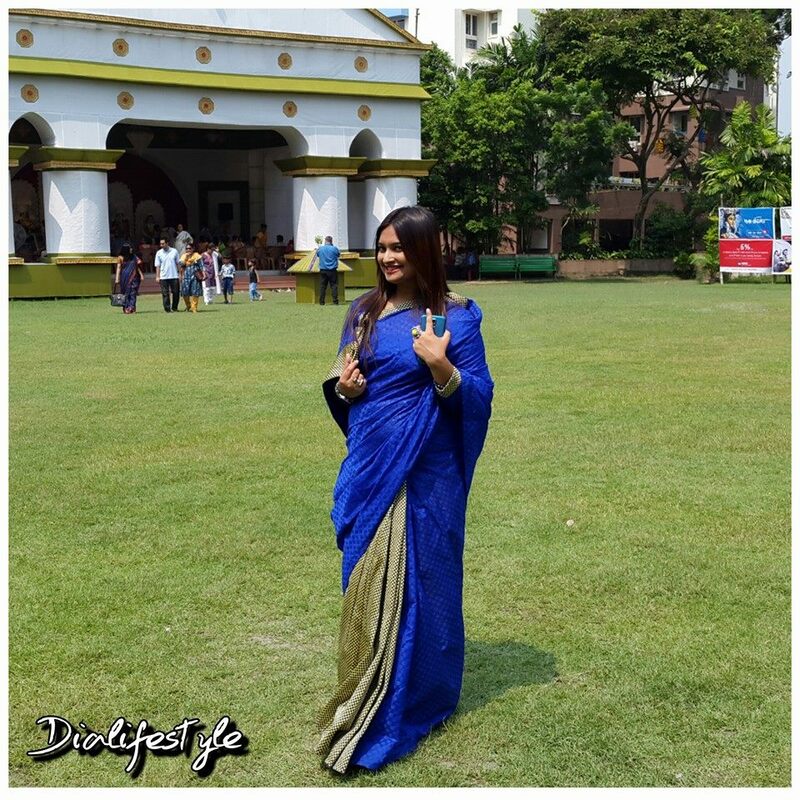 Rituals include that of “Darpan Visarjan” where a leaf from the Navapatrika along with the reflection of Maa Durga is immersed in a clay bowl of water. 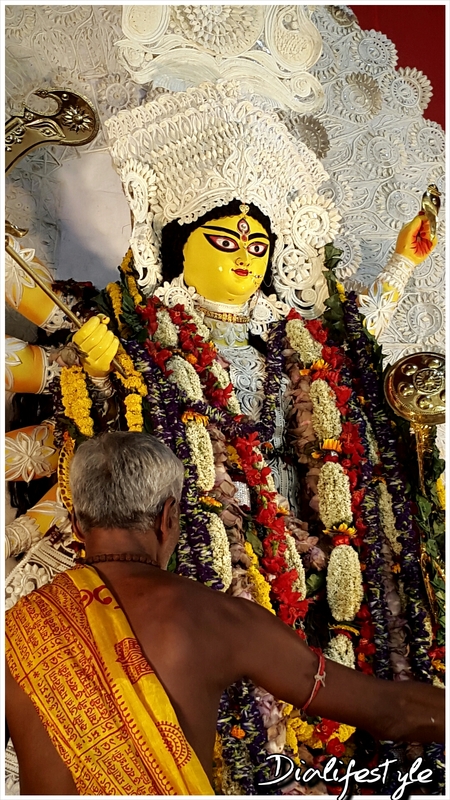 This signifies immersion of the goddess before it is physically immersed. This follows women applying vermillion (a symbol of marriage) on Maa Durga and bidding her farewell before she starts her journey to Kailash. 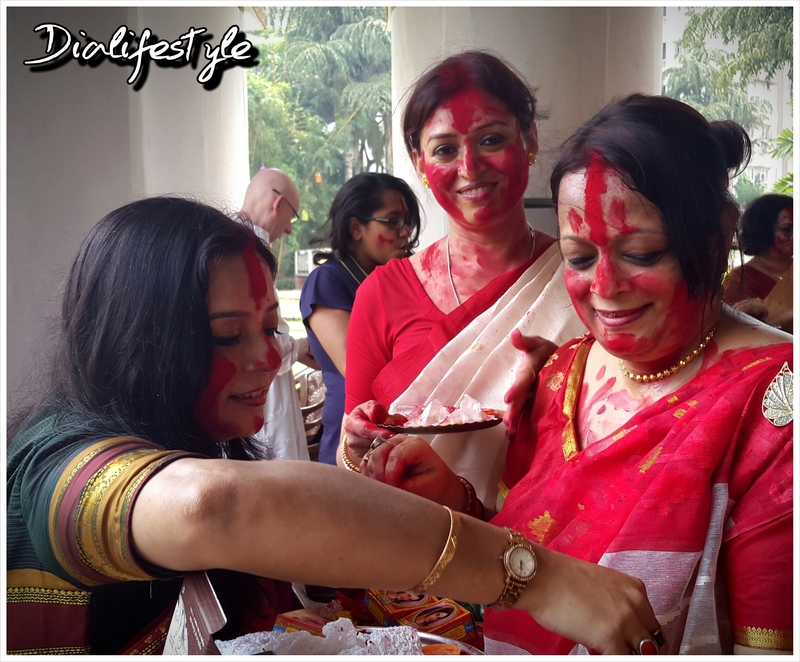 Women play with vermillion, the ritual known a “Sindoor Khela”. 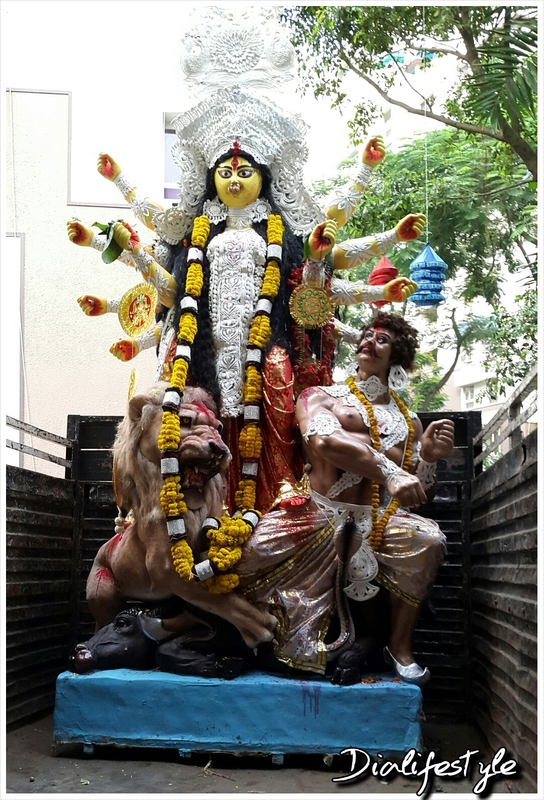 And finally Maa Durga is taken to the water and immersed, where she starts her journey to her husband’s place. While we wish her a safe journey, here I am screaming my lungs out, “Bolo Durga Maa ki JAI”, “Asche Bochhor Abar Hobe” (Hail the Glorious Maa Durga, May she come again next year).